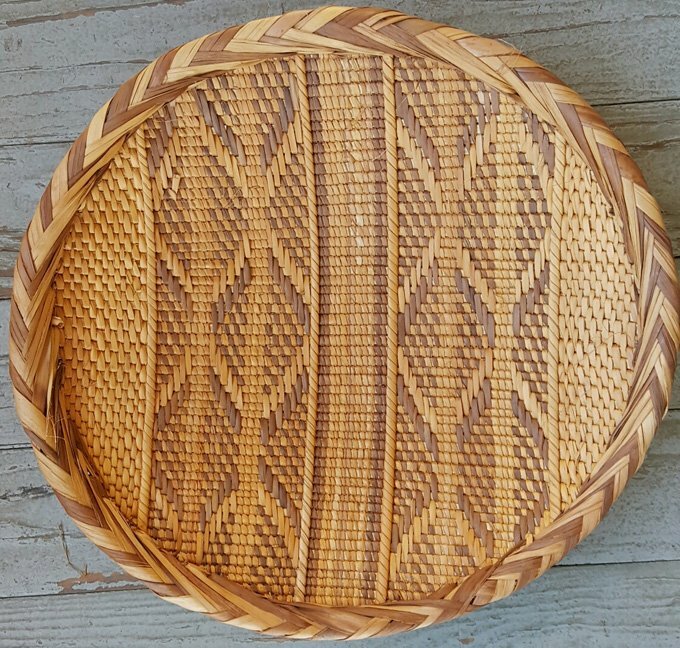 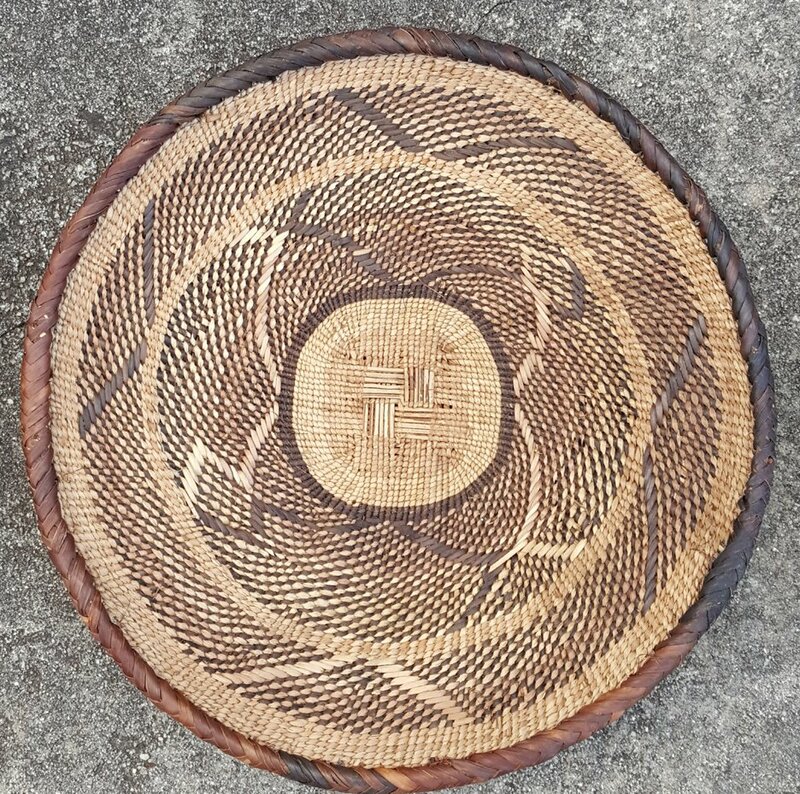 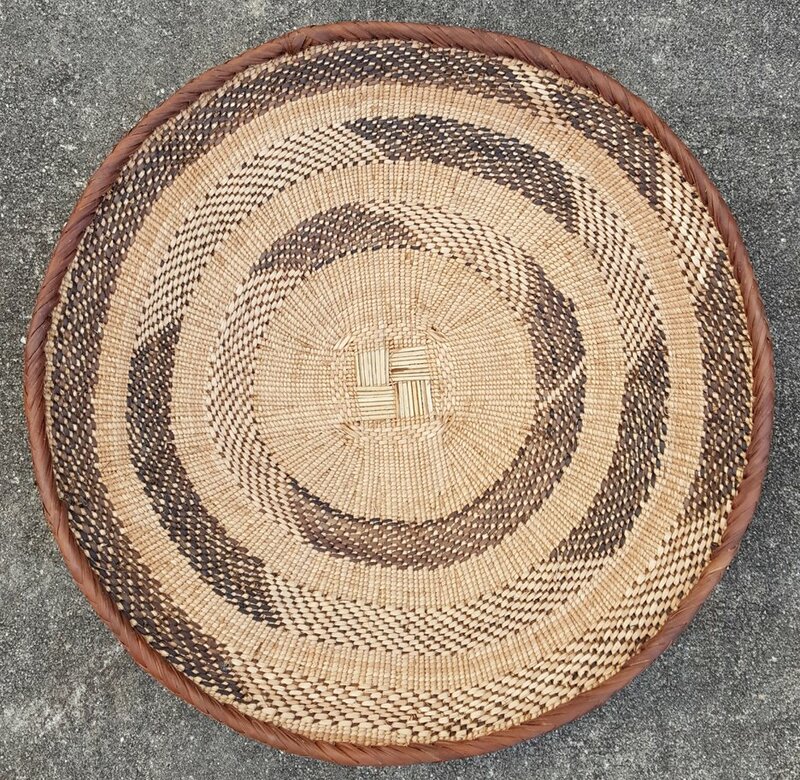 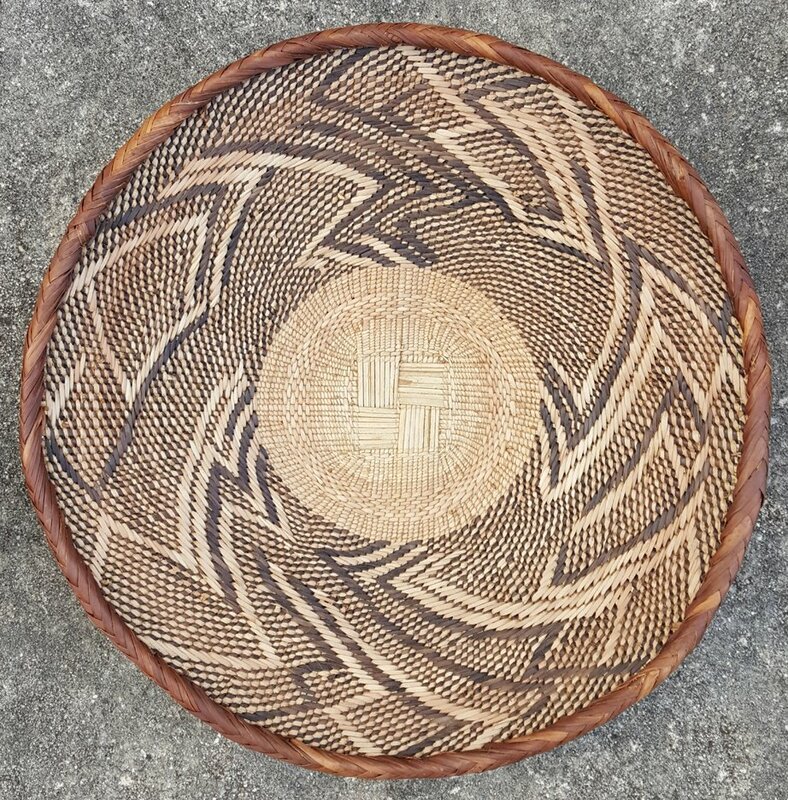 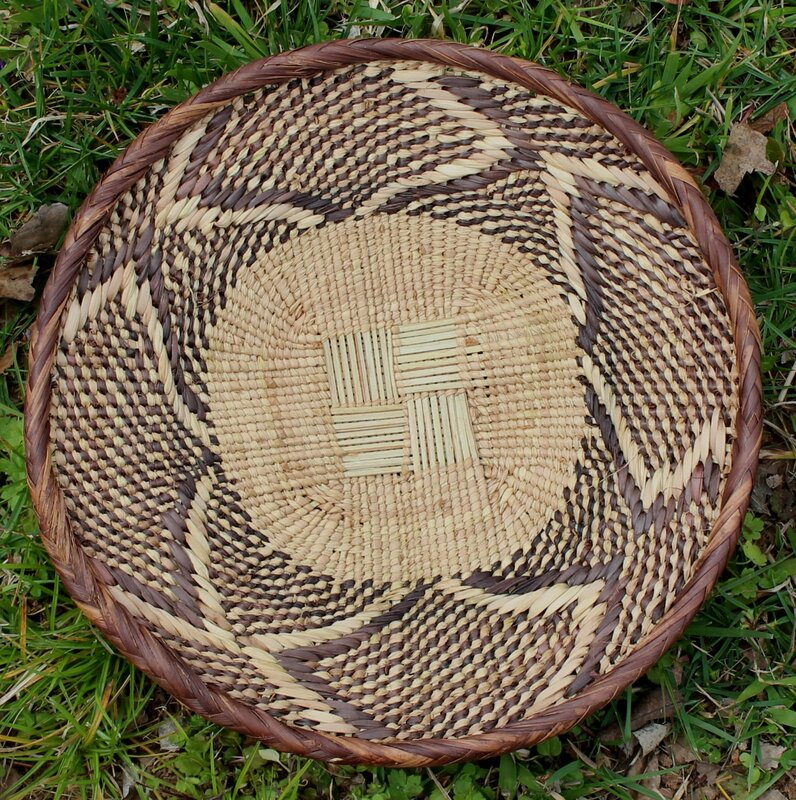 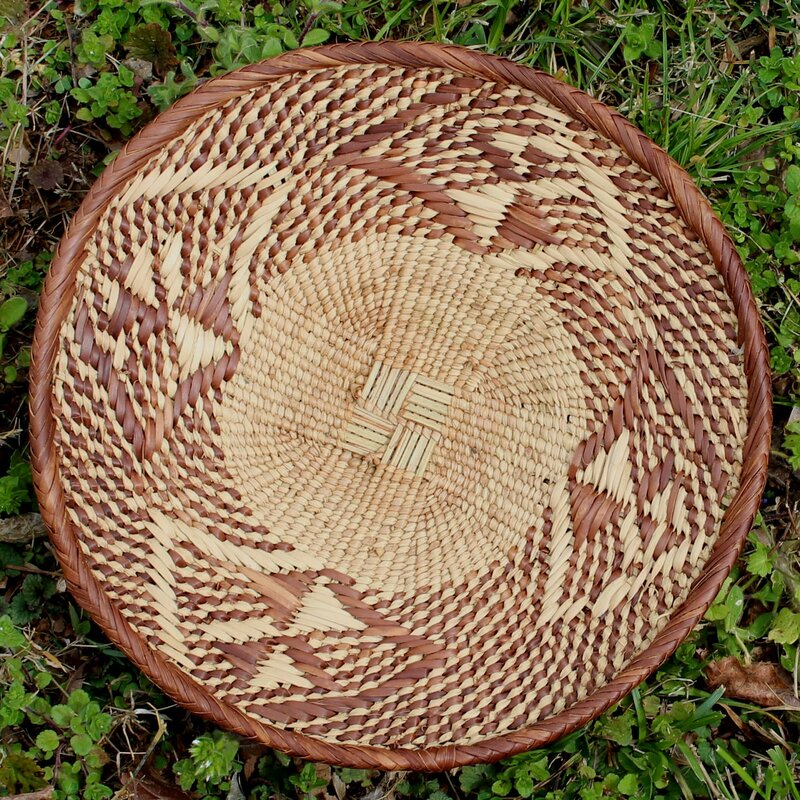 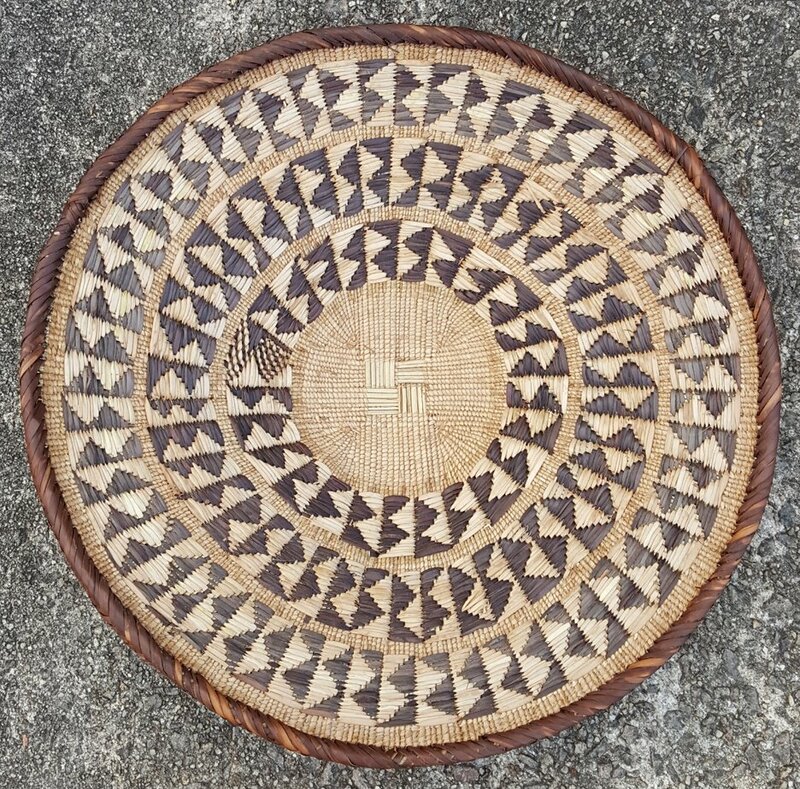 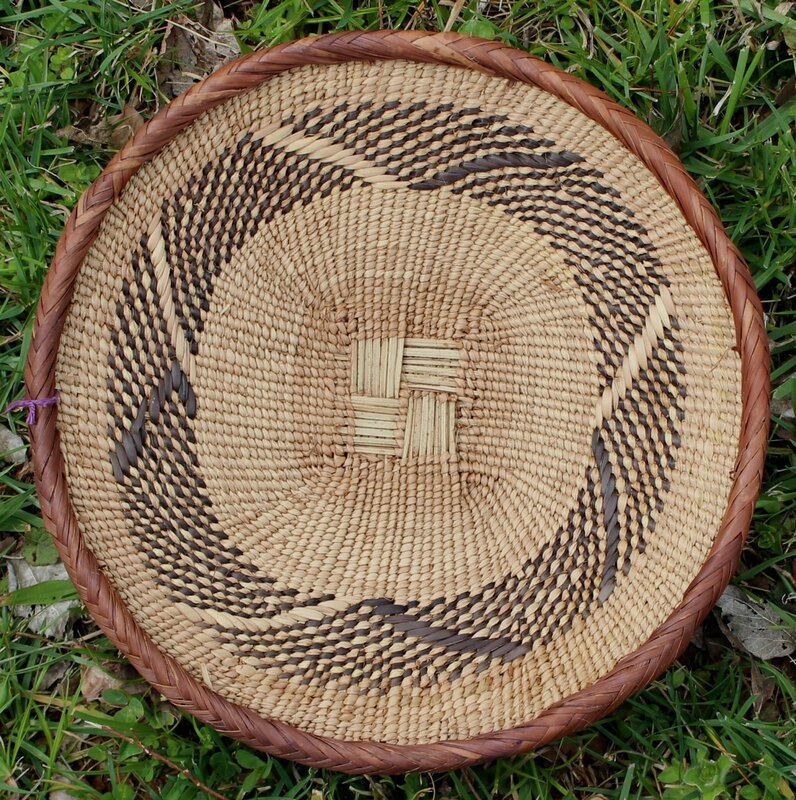 Tonga women in northwestern Zimbabwe make flat baskets from grass, reeds, and palm fronds. 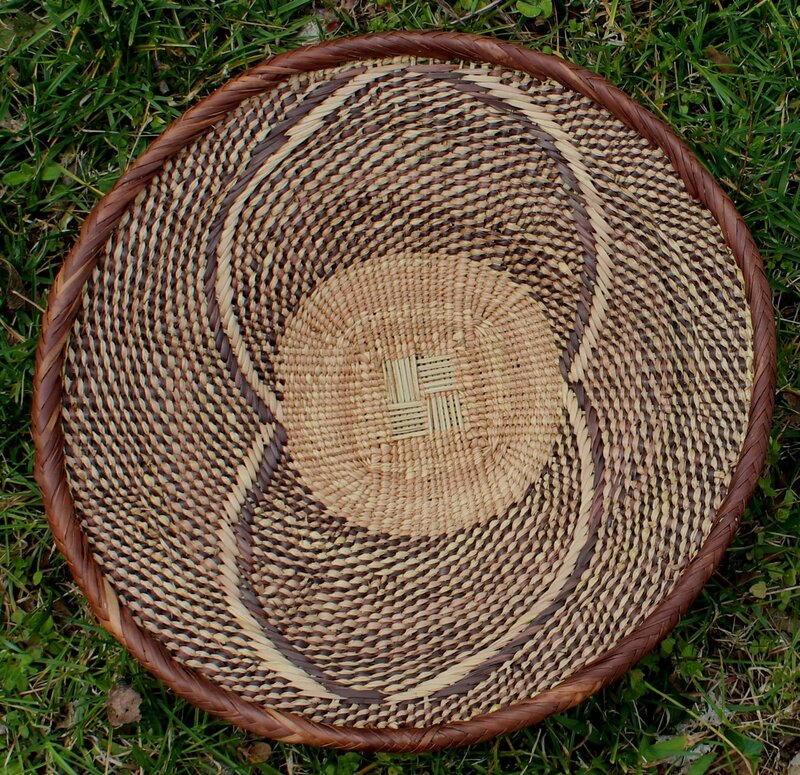 Used originally for winnowing grain, these baskets can be used functionally for bread or fruit, or they can be used to decorate a wall. 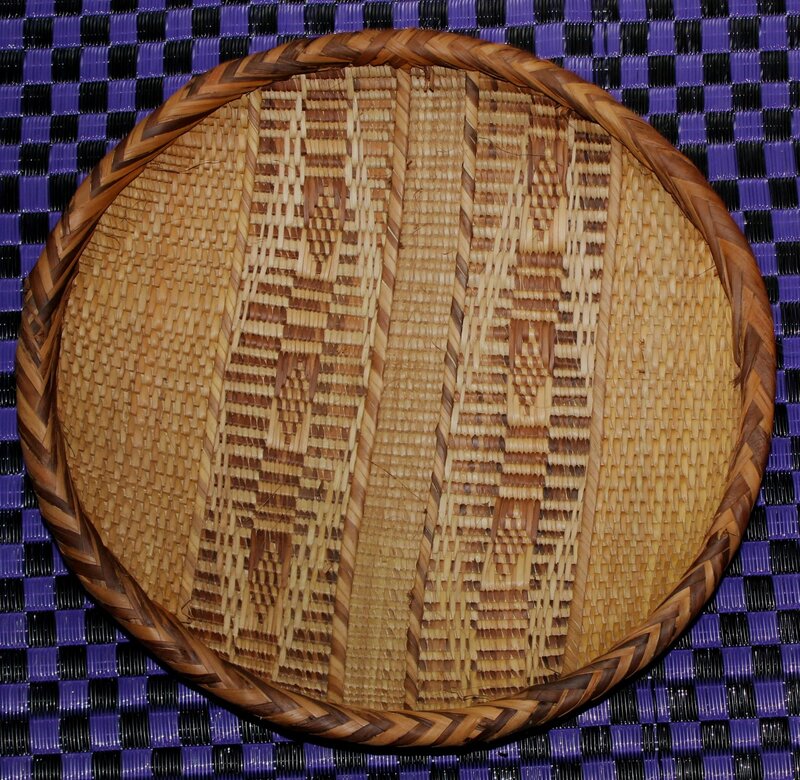 They are very lightweight and easy to hang. 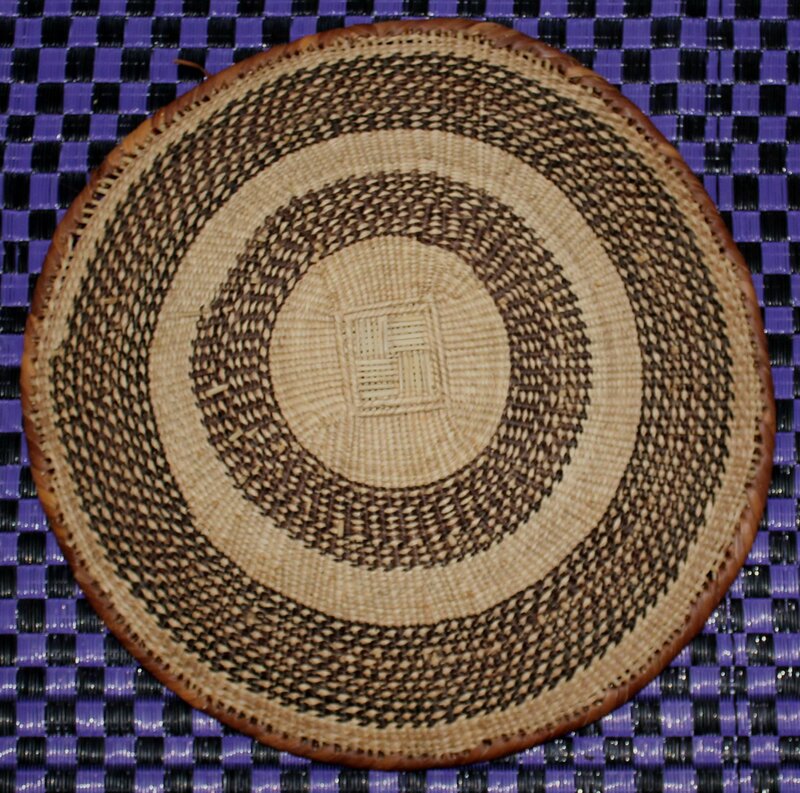 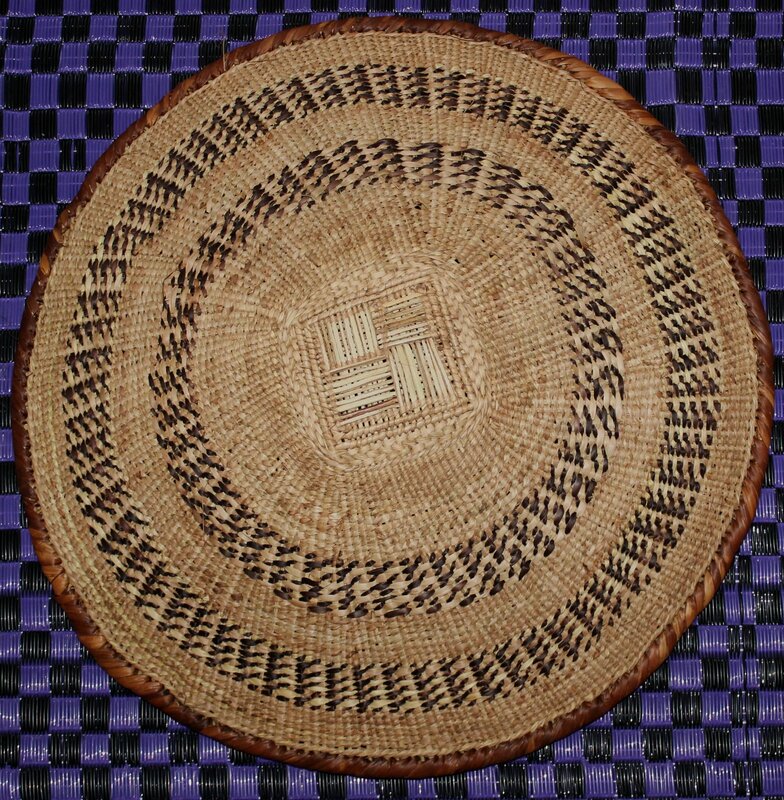 Gokwe baskets are made from Ilala Palm. 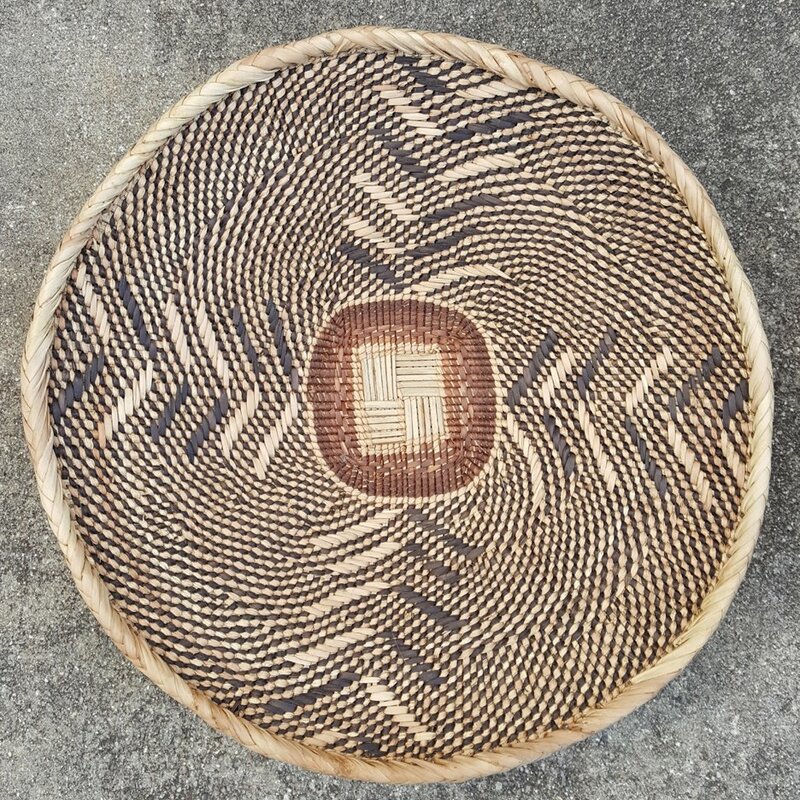 Binga baskets, named for a town, are woven from hard vine and ilala palm. 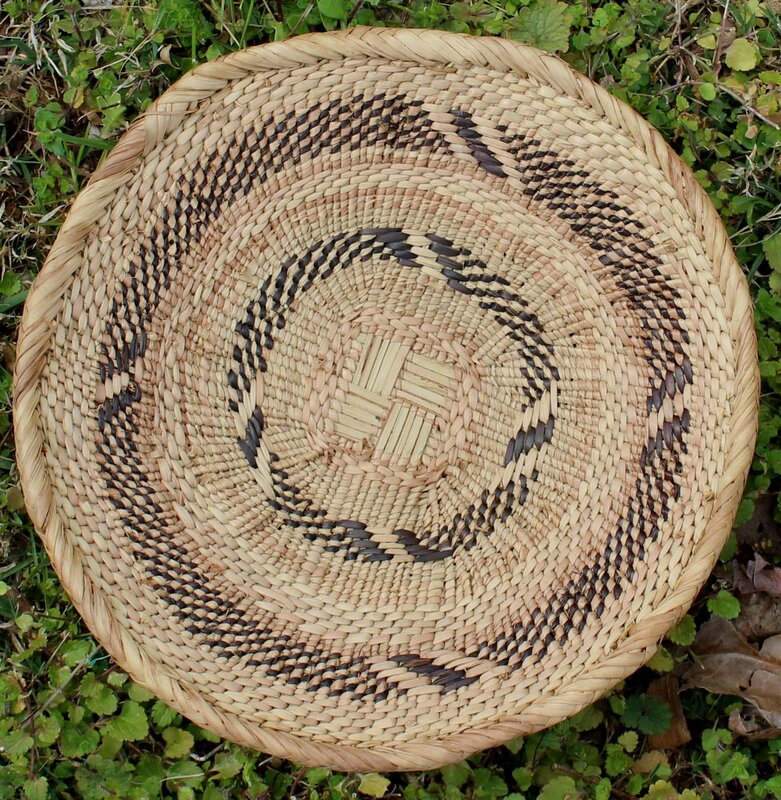 All natural dyes are used to dye the vegetable fibers.